Adeline Beauty's Anti-Aging Moisturizer contains five powerful ingredients to fight wrinkles and rejuvenate skin - Matrixyl, Witch Hazel, Hyaluronic Acid, Vitamin C, and Vitamin E. These are all powerful and effective skincare ingredients when used individually, but Adeline put them all together into one product so that getting more youthful and nourished skin is quick and easy! Matrixyl is a peptide that specifically stimulates collagen synthesis and skin repair, so it's great for long-term anti-aging skincare. Combined with the rest of the ingredients in the formula, this Anti-Aging Moisturizer doubles the collagen that skin needs for elasticity, meaning wrinkles will fade away and become less noticeable. Plus it hydrates well which is really important for wrinkle reduction and prevention. The cream is white and doesn't take much to spread on my whole face and neck. It tingles a little bit and I can definitely smell the Peppermint Oil, which is one of the last ingredients listed. Despite the peppermint and tingle, my face didn't seem sensitive or irritated by the moisturizer which can sometimes happen with these type of products. It is gentle but yet does seem to have powerful results - making my dry, uneven skin look more plump, smooth, and toned. Not only is this product packed with effective ingredients, but it simultaneously leaves out the bad stuff like parabens, sulfates, fillers, additives, or added fragrances. The more I learn about those types of nasty fillers, the more I realize how important it is to use safe and high quality skincare. 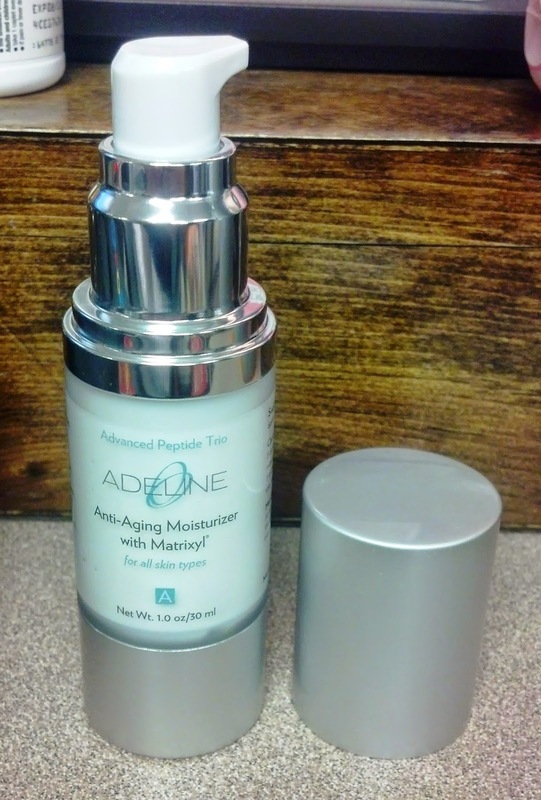 Adeline Beauty is a trust-worthy brand that I really like, and I recommend this anti-aging moisturizer.